the evo x sure is a great creation but when boosted with a tune the engines don't last and the dual clutch gear boxes can't take the extra power - limited lifespan... wanna track? buy a porsche; or go spend the same $$$ and get yourself a track ready track developed Boss 302 mustang. Think the best evo is the EVO IX MR. just simple pure driving pleasure. The Xs just kinda kills the thrill by adding so much more cosmetic gadgets inside. Personally, I drive the evo 8 MR and would love the upgrade to the mivec. That's just me. 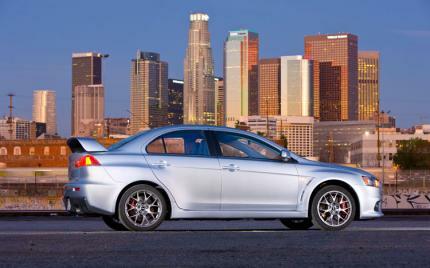 Though i hear that with the MIVEC, the drive is less pleasurable compared to the raw power in the Evo 8. Probably it's the best decision. In my eyes the Evo X is a shame for the Evo line. I used to be a huge Lancer Evo and Impreza STI fan, they were the ultimate not exotic sportscars. But the new Impreza and the Evo X..... 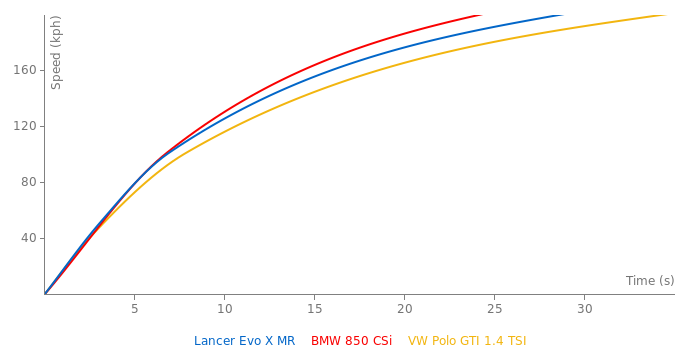 In 1998 the Evo V managed to reach 0-100 km/h in 4,9 s. In 2007 the EU-spec Evo X does the same in 5,5 s. Where is the evolution? Sadly the Evos just getting heavier and heavier (especially the X). The 2 liter displacement is just getting too small to make the 15xx kg as fast as an Evo should be compared to other sportcompacts. Creating a new engine (around 2.5 l and 350-360PS) would be too expensive for the Mitsubishi, which is not in a very good financial condition. If they (Mitsubishi) are really about to introduce a line of full electrics, I say "bring it on"! A loss of iconic sportscar is a small price to pay for a movement towards mass market electric car. I’ve just spent an engaging half-hour in the company of Gayu Eusegi, Mitsubishi’s global product director. Mostly we talked about the new Global Small Concept, which will be built in Thailand and sized somewhere between a Toyota Aygo and the Colt supermini. It’ll go on UK sale in 2012, effectively replacing the Colt in the line-up. But also he told me some news, which seemed to surprise a few Mitsubishi Europe bods as much as it did me. The Lancer Evolution X, Eusegi told me, will be the last Evo. he said, Eyebrow up. Eusegi said, adding that the decision was a . It seems Mitsubishi, which is going to introduce eight full electric or hybrid cars by 2015, has decided its image is about lowering CO2, not making lurid replicas of rally cars that don’t go top-level rallying any more. Eusegi said that customers would find it what Mitsubishi was about if it was no longer in this motorsport-inspired market. He seemed to put the rumoured diesel hybrid Evo replacement to bed, too. So the X will be the last Evolution model? said Eusegi. The EVO X MR has to be faster than this. A 200lbs heavier Passat R36 with about the same bhp with a dual clutch transmission does 13.66 1/4 mile. I would expect 13.0-13.4 1/4 mile for EVO X MR with a dual clutch transmission. can somebody please corect the Nordschliefe time?